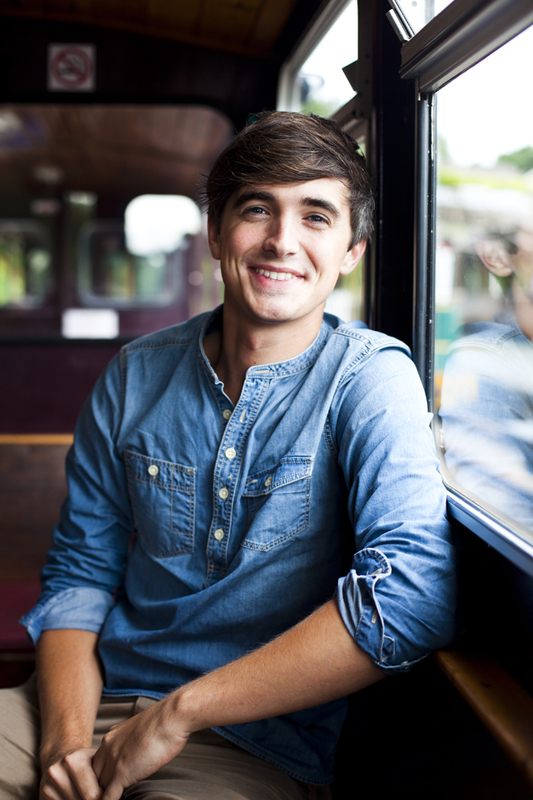 It’s been 6 years since Donal Skehan started his food blog, Good Mood Food, 4 years since his first book of the same name was released and 3 years since he hit tv screens with his show Kitchen Hero but Skehan’s still amazed by his success. Sitting in the almost empty Cork Opera House, with his crew setting up for The HomeCooked Tour, Skehan seems unfazed but not ungrateful for his success. Everyone always think that I’ve named myself Kitchen Hero but I’m not that cocky. Maybe a little bit but I’m not that cocky. I think I really loved other food bloggers at the time and that’s why I started a food blog but it was never because I wanted to write a book or because of anything like that. Skehan has a strong background in performance, as well as his short fledged pop career he also started as Peter Pan in a Dublin panto which holds true to him as he’s on stage. Some would wonder if 2 hours of watching someone cook would be too much for even culinary fans but Skehan encourages everyone to ‘Ooooh’ at something they find tasty and even growl at something they’re not quite sure of. Throughout the show audience interaction is encouraged, with several hilarious kids (“My mother’s pretending I don’t belong to her”) threatening to steal the show but Skehan takes it all in his stride and encourages people to shout out any questions they have with several girls sitting in front of me egging each other to shout out a marriage proposal.